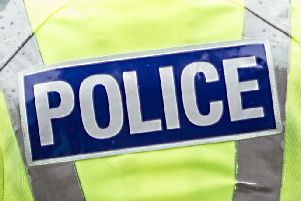 A 20-year-old woman was arrested in Croy today (Monday) after police attended the scene following a minor traffic accident. Police appeared at 1am after hearing a report of a crash in Constarry Road involving a blue Ford Fiesta. Officers asked the car owner to undertake a breath test which she failed. The driver was taken to Motherwell Police Station where she failed a second breath test. She was cautioned and charged and is expected to appear at Airdrie Sheriff Court in the near future.